ong after many resorts have closed, St Luc and its connected resort of Chandolin, still have resort runs and untracked off-piste. The villages require navigating some of the most tortuous roads in the Alps (although there is a bus service from Vissoie for the faint-hearted or car-less), but the journey is compensated for by the destination. The views across the Rhône valley to Crans-Montana beyond are spectacular. 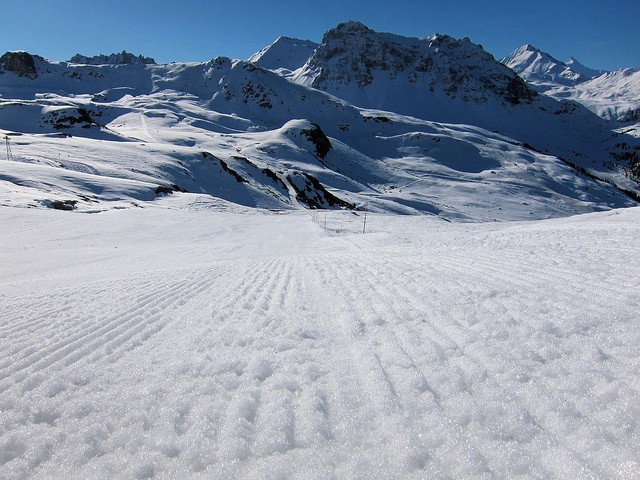 Personally I find the slopes easier to get to from St Luc than Chandolin, and some of the best of the slopes lie on the St Luc side. The resort run is open long into the late season, giving you a fabulous 11k run off Bella Tolla all the way down to the village. From Zurich the least travel time is 3 hrs 42 mins with as few as 3 changes going via Visp / Sierre / Vissoie. From Basel the least travel time is 3 hrs 43 mins with as few as 3 changes going via Visp / Sierre / Vissoie. From Berne the least travel time is 2 hrs 28 mins with as few as 3 changes going via Visp / Sierre / Vissoie. From Lausanne the least travel time is 2 hrs 12 mins with as few as 2 changes going via Sierre / Vissoie. The road distance from Zurich is around 311 km and the journey time is roughly 3 hrs 30 mins. The road distance from Basel is around 284 km and the journey time is roughly 3 hrs 10 mins. The road distance from Berne is around 189 km and the journey time is roughly 2 hrs 10 mins. The road distance from Geneva is around 195 km and the journey time is roughly 2 hrs 20 mins. The road distance from Lausanne is around 130 km and the journey time is roughly 1 hr 35 mins. The road distance from Fribourg is around 159 km and the journey time is roughly 1 hr 48 mins. 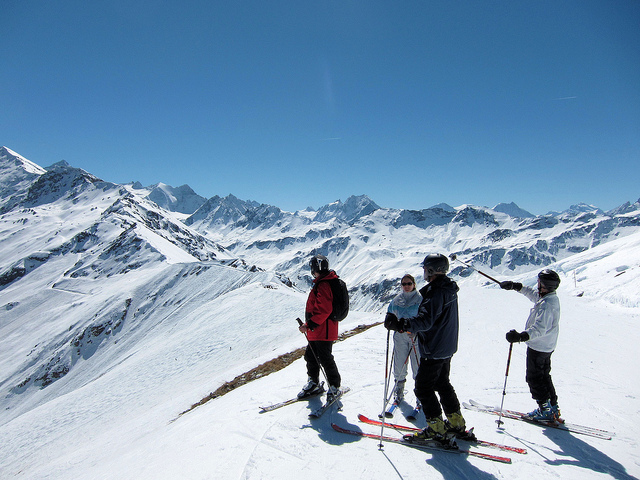 Other resorts in the ski area include Chandolin, Grimentz, Vercorin and Zinal.